Your New Career with Watkins/Summit is all about YOU! Create the life you Desire! We invite you to explore an exciting part-time, work-at-home career that has life-changing potential! Promote yourself to a more satisfying and productive life. Be your own boss! Gain financial security with ever-growing residual income. Enjoy new-found time-freedom! Create the life you desire! Watkins, Inc. has been in business continuously since 1868 and offers one of North America’s leading Independent work-at-home business systems in the ever expanding Network Distribution Industry. Our support team will help you customize your business to your individual needs, desires and goals. Our focus is all about YOU! Highly successful Watkins/Summit Associates come from all walks of life. Entrepreneurs, business leaders, small business owners, folks with disabilities, professionals from many different fields, active retirees, and stay-at-home Moms and Dads all find the Watkins/Summit business model applicable to their life situations. Anyone who wishes to achieve financial independence and time- freedom can excel in Watkins/Summit. We recognize that most people interested in launching a work-at-home business already lead very busy lives and will probably operate their home-business part-time. Therefore, our streamlined “turn-key” system is designed for simplicity and ease of operation. We work very hard to provide the tools, technology, guidance and support to assure that you reach your goals and achieve success. You operate your business part-time from the convenience of your home (using your computer and phone). You can learn the fundamentals of the business in a few hours and more advanced knowledge will come as your business expands and matures. Sometimes a fresh start and a new career can really build your hope. With hope, faith, hard-work and patience you can achieve the most magnificent dream you can dream! With Watkins and the Summit Group you can create a whole new “life story” for you and your family! You can start today! Fran, an award-winning Watkins Gold Manager, assists her husband, Dave, in coaching more than 400 Watkins Associates from throughout the USA and Canada. Dave and Fran are on track to earn the prestigious Independent Watkins Bronze Executive Title. 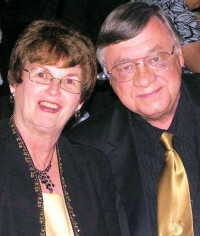 Their ever-increasing Watkins income will enable Fran to retire in 2012 from her 25 year career as a Real Estate Broker. 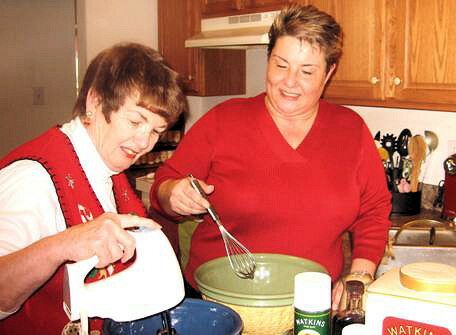 Fran is a very busy professional who is active in her community and church but still has the time to stir up a batch of Watkins “snickerdoodles” with her daughter, NiNa. NiNa is an award-winning Watkins Manager and coaches a team of almost 60 Watkins Associates. NiNa is disabled as a result of a near-death auto accident when she was a teenager. In her life-time NiNa has experienced 40 major surgeries. She is plagued with many medical problems and lives with consistent pain but works her Watkins Business as much as she can – when she can. NiNa has found a whole new hope with her Watkins business. In 2008 NiNa was featured in the acclaimed CHICKEN SOUP FOR THE NETWORK MARKETERS SOUL – part of the CHICKEN SOUP FOR THE SOUL Series by Jack Canfield, Mark Victor Hansen and Bill Hyman. She was cited for courage and determination in building a successful Watkins business although disabled. Click here to explore exactly how our business can help you earn income working from home.